While fall is just around the corner, I thought I would make this delicious no mayonnaise potato salad, before summer ends. It is so simple to prepare and the dressing is made with healthy extra-virgin olive oil! 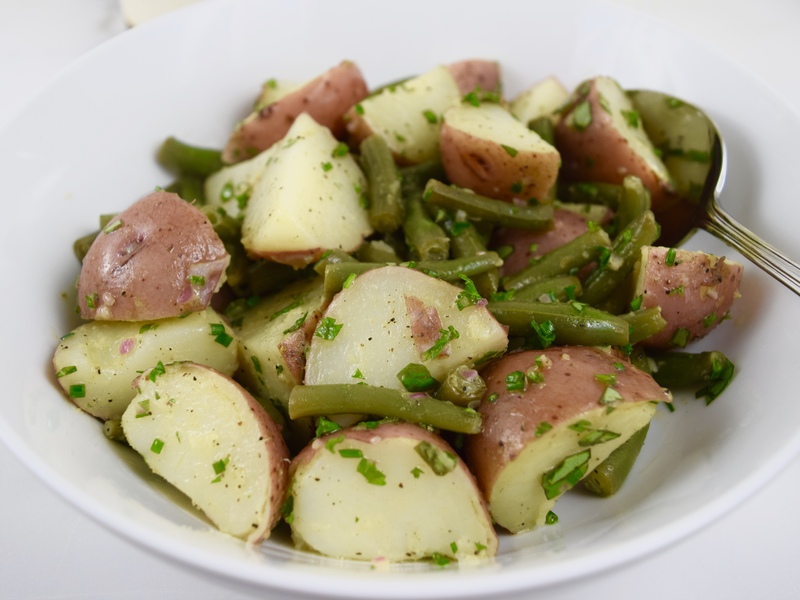 The potatoes and green beans absorb the flavor of the Dijon mustard. You can really taste the fresh herbs, especially the basil. 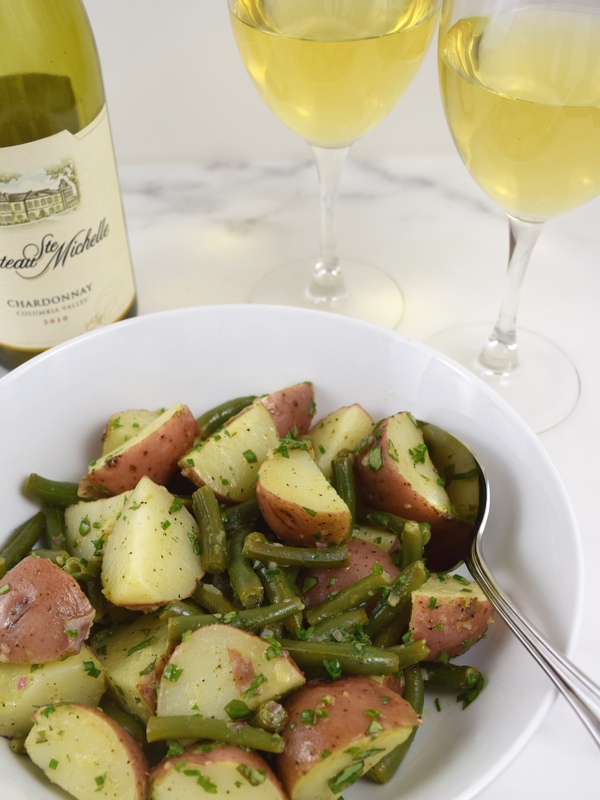 This potato salad was adapted from America’s Test Kitchen, Cooking Fresh, 2015, and tastes even better the next day! Whisk together the oil, vinegar, mustard and shallot in a large bowl. Add salt and pepper to taste. Set aside half of the dressing. 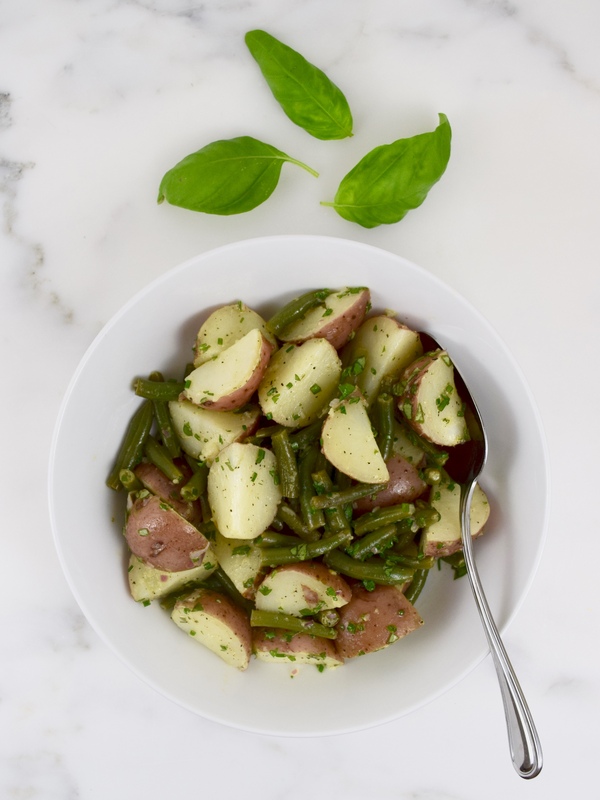 Using a large saucepan, steam the green beans until crisp-tender. Transfer beans to the large bowl with the dressing. In the large saucepan, boil the potatoes, until they can easily pierced with a fork for about 7 to 10 minutes. Drain the potatoes in a colander. Add the hot potatoes to the bowl with the beans and dressing. Gently toss to combine. Let stand for at least 10 minutes. Add the parsley, chives, basil and reserved dressing. If needed add more salt and pepper and serve. 6 servings. now this looks amazing! love the ingredients! Thank you, Lynz! I really believe the salad tastes better the next day. Thank you, Bec. My husband really like it too!